Summer can be summed up in six ways: bikinis, wedge sandals, oversized sunglasses, cutoff denim shorts, the beach, and…ice cream. While I equate pints of Ben & Jerry’s AmeriCone Dream and Chocolate Therapy to bad breakups; to me, a dripping ice cream cone is like an unofficial summer mascot. 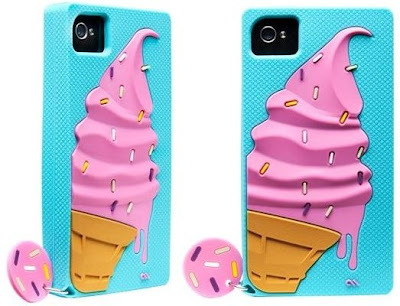 So, when Case-Mate gave me the opportunity to select a new outfit for my iPhone, I zoned in on the new Sweets Trio – ultimately bypassing the ultra-adorable Delight Cupcake Case and Swirl Lollipop Case in favor of the Drip Ice Cream Cone Case. I have owned a number of Case-Mate cases over the past few months; and from personal experience, I have found that they are always consistent in relation to bulkiness. While the Drip Ice Cream Cone Case features 3-D cutouts illustrating sprinkles (the cutest detail ever! ), the ice cream, and the cone itself; the case in its entirety remains slim and sophisticated, protecting your phone without making it feel hefty. Plus, the textured silicone provides for a tighter, easier grip (so there are less accidental drops). Online, I feel that the colors appear slightly lighter than they do in real life. 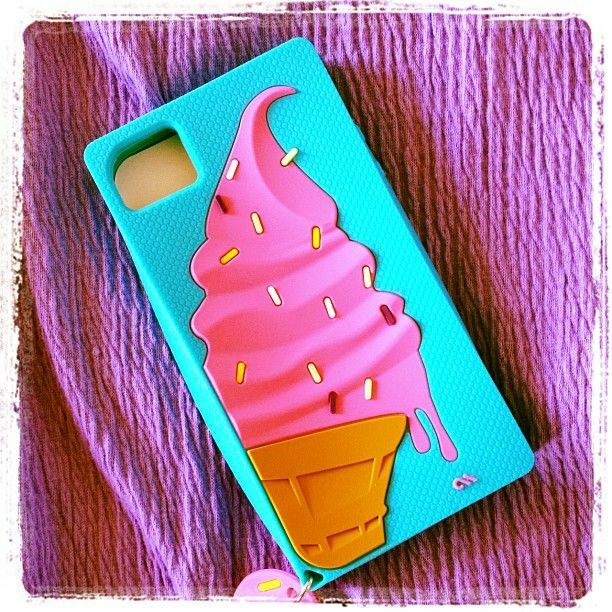 In reality, the case itself is more of a mint/turquoise hue; and the ice cream is a deeper pink color. While I love sorbet/pastel colors, I actually prefer the deeper shades, as they pair so perfectly with denim for the summer – and add such a fun pop of personality to your phone! The absolute perfect accessory for the boardwalk! The Case-Mate Drip Ice Cream Cone Case totally earns summer’s seal of approval! What look is your iPhone rocking for Summer 2012? Gorgeous. One of the sweetest I have ever seen. Yes, no bulky is one of the most important factors in choosing a phone case for sure. This one looks absolutely divine! Love the review! Awesome. This one is so adorable. How fun! I love this case & you're so right, it is an unofficial summer mascot. So love the colors. Definitely a sweet summer case to have. I've been in an animal print phase lately and have the leopard iphone case from Jcrew which I love but know will need replacing in a few months. Love your ice cream cone! p.s. thanks for your sweet good wishes about the coast magazine feature :) means a lot! Ps. Follow each other on GFC & BLOGLOVIN????? This case is the cutest! The colors are just perfect for summer, too. Ice Cream is my favourite part of summer! This case is the most adorable thing ever! Love! I so love the quote. How adorable!! Sweet review! This looks so great to have. This is just adorable. Love the colors. I LOVE this case ever since I've seen you with it. It's honestly one of the best ones that I've seen. I want it!!! How delicious and sweet!! "Yummy 3D effect" - you got me there!! I love that case. It signifies everything I love about Summer. You get some awesome stuff to review. Oh I love this. My phone case looks like melting icecream! OMG I love this case! It's so cute! Would love for you to check out my blog sometime!